In the other Premiership Division match, the West London Wildcats severely dented the North London Lions finals plans with powerful 68-point win. The defeat for the Lions all but rules them out of a top-two finish, whilst announcing to all and sundry that the Wildcats are very much in the premiership race again – not that they were ever out of it, but taking down the Lions leaves only one hurdle that they would be concerned about. They now know they have the Lions’ measure and can go hunting Demons now. In the Women’s Premiership division, the Wandsworth Demons convincingly downed the South East London Giants by 45 points while the North London Lions won a tough game against the West London Wildcats by four goals. Next weekend will see the two grand final favourites do battle with the Demons hosting the Wildcats at Clapham Common. The winner will almost certainly leave with outright premiership favouritism. 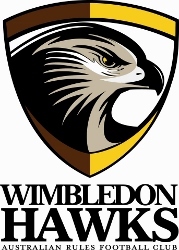 The North London Lions will look to atone for last weekend’s loss when they host the London Swans – but it is far from a certainty with the Swans desperate to keep the Hawks in last place.